What makes a great public transit facility, you ask? I&apos;d say it is a well-lit space to wait for the next train, combined with compelling architecture, public art, and easy access for people with physical handicaps. Such a station now graces the eastern side of the Loop &apos;L&apos; trains, as the stunning Washington/Wabash Station opened for use by visitors and Chicagoans on August 31, 2017. 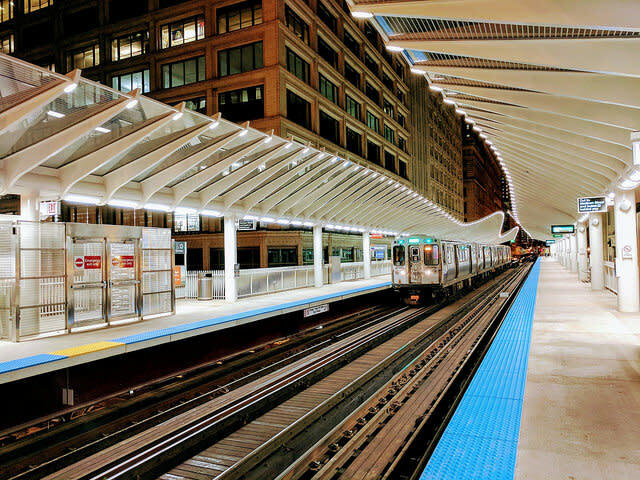 It’s the first new station in the Loop since 1997, and rave reviews continue to come in from architectural magazines, transit wonks, and a range of other outlets. 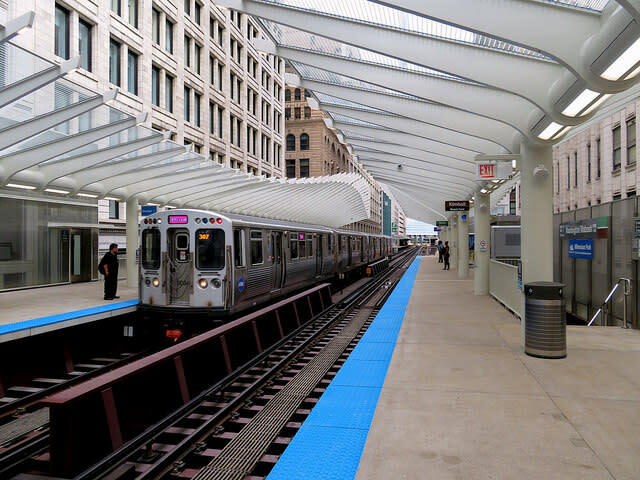 The new Washington/Wabash Station is intended to serve as a gateway to nearby attractions, including the Chicago Cultural Center and Millennium Park, along with providing a vastly improved visitor experience for people waiting to catch the Brown, Purple, Orange, Pink, and Green Lines. Additionally, the station intersects with eight bus routes and it will eventually serve some 13,000 passengers each weekday. As you walk along the platform, you will want to look up and see the skeleton-like spines crafted by the design firm EXP that offer a creative canopy to the entire station’s expanse. 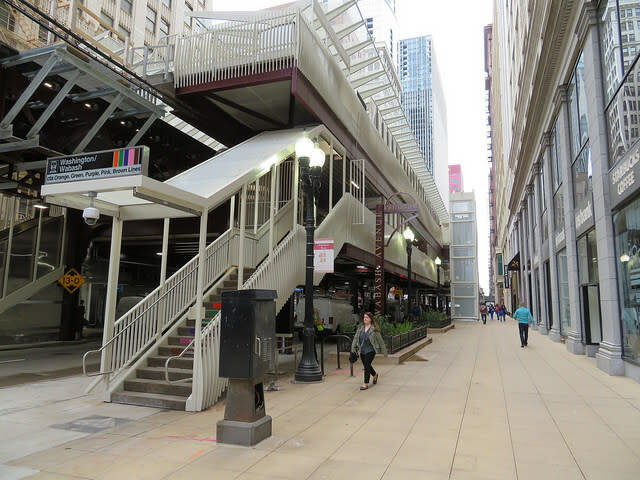 It’s a rather dramatic departure from every other station in the Loop and it’s sure to become a top destination for design fans and anyone with an interest in contemporary architecture. According to the design statement, "... the undulating wave form of the canopies weaves through the historic Wabash Avenue corridor as a counterpoint to the city grid, and anticipates the soft forms of the park and the lake beyond. The faceted skeletal steel and glass structure is designed to create a dynamic play of light reminiscent of diamond facets and the historic Jeweler’s Row." 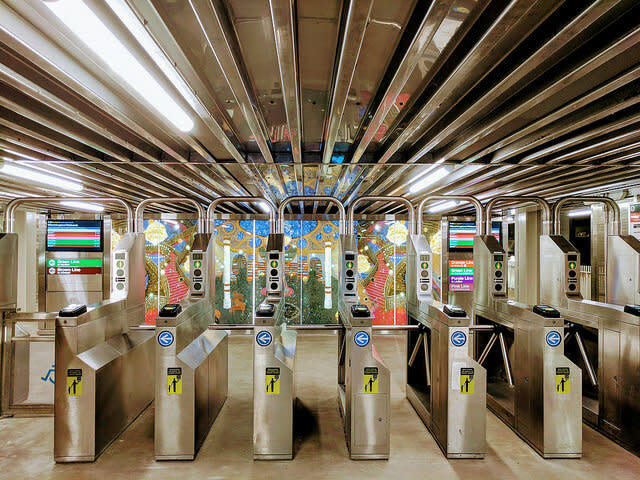 You’ll want to spend time getting to know this brilliant new piece of public transit architecture and after you’re done taking photos up top, head on over to the mezzanine level to see the colorful panels created by world renowned Chicago artist Michiko Itatani.